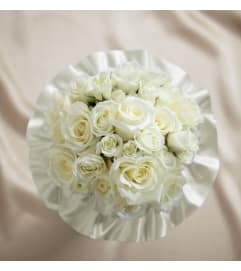 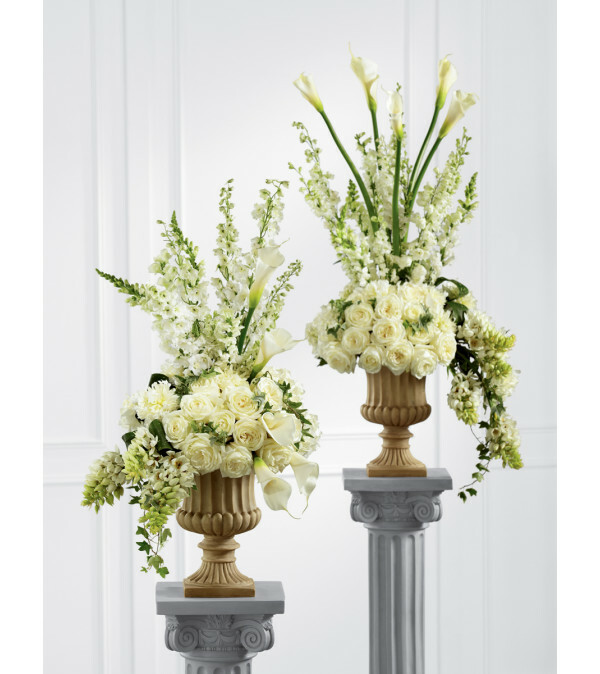 The FTD® Classic White™ Arrangement is a gorgeous arrangement set to add a touch of floral elegance to any space. 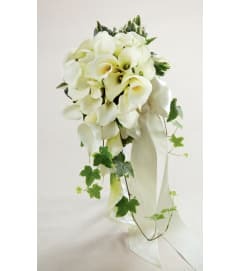 White roses, open cut calla lilies, peonies, Star of Bethlehem, delphinium, larkspur, hydrangea, and snapdragon are arranged with interest and style to towering perfection. Seated in a classic resin urn upon a 3-foot pedestal, this arrangement will add to the joy and beauty of the day.